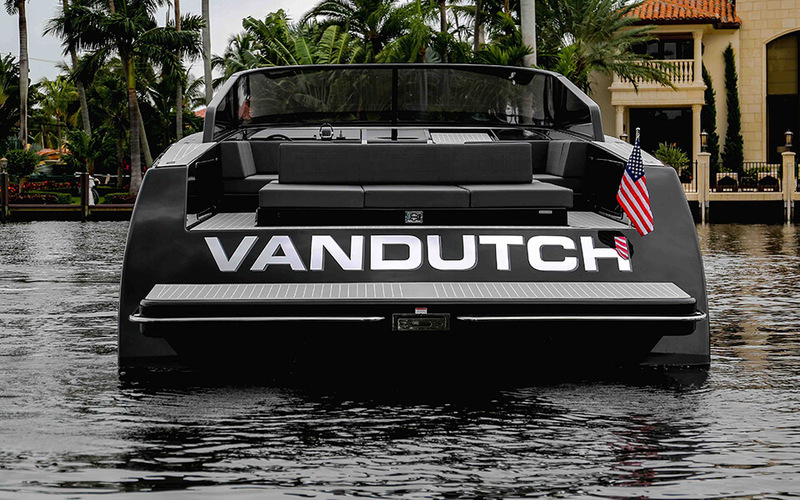 VanDutch 55 luxury speed boats combines premium yacht performance with award winning Dutch design. 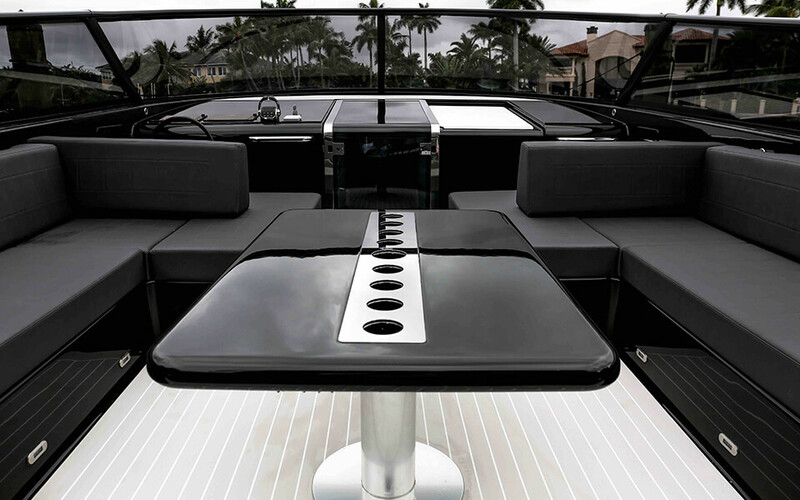 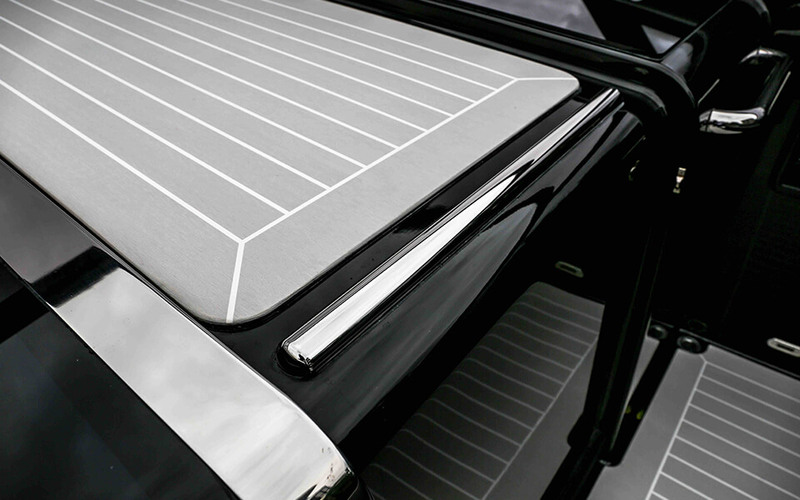 Corian is implemented into the framework to provide a finishing of quality and durability. 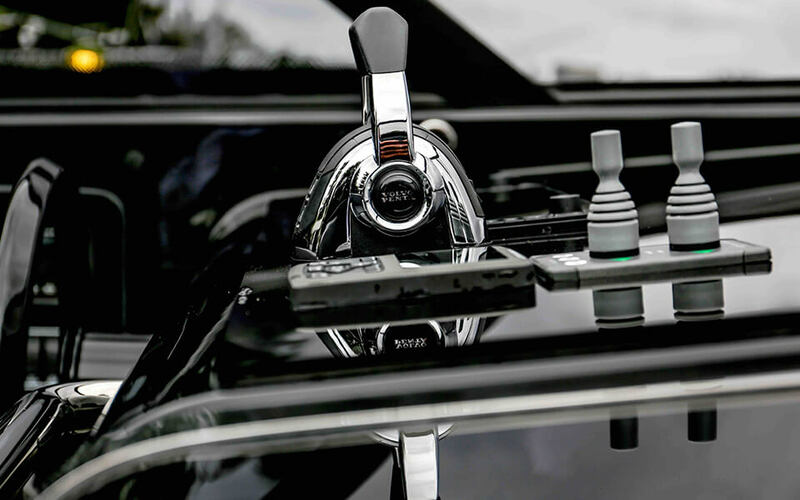 The ladder in stainless steel and a compartment for storing fenders, fully recessed, allows for full appreciation of the incredibly sleek and inviting cockpit. 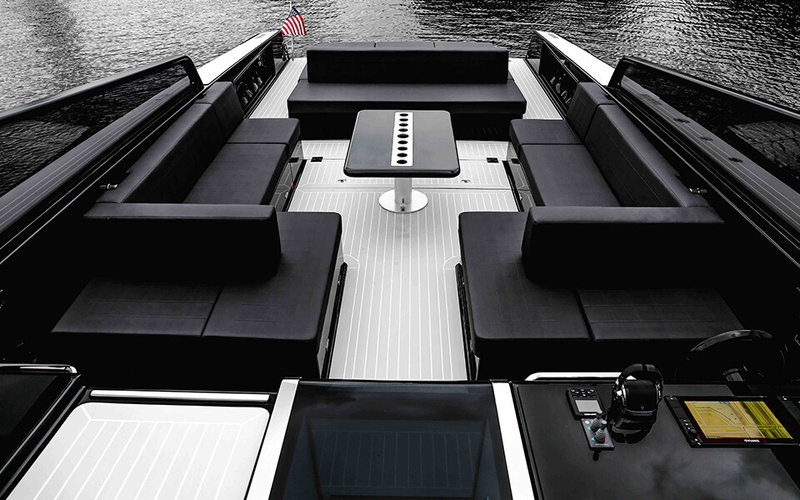 The deck is covered with a teak composite, the Esthec, which gives the luxurious experience of the teak without the drawbacks of maintenance, with a multitude of color combinations available.